Update, April 1, 2019: Following the fire and chemical spill at the ITC site on March 17, the decision was made to cancel the 2019 Festival and Reenactment. Plan ahead to attend the festival on April 18, 2020. Booming cannons, cracking musket fire, thundering hooves and desperate battle cries resound across the San Jacinto Battleground as hundreds of history reenactors recreate the events leading up to Texas winning its independence at the decisive Battle of San Jacinto. See the image and video galleries below to get a glimpse of the day's activities. 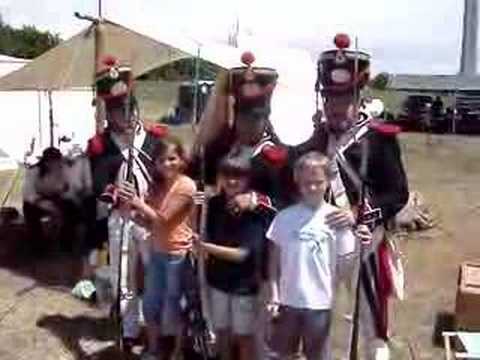 This dramatic battle reenactment is the centerpiece of the San Jacinto Day Festival, held on the grounds surrounding the San Jacinto Monument. Sponsored by the San Jacinto Museum of History, Texas Parks & Wildlife and the San Jacinto Volunteers, the festival is a full day of music, entertainment, food, games and fun set amidst living history. Presented by the San Jacinto Volunteers and other living history organizations from across the state, the reenactment dramatizes the decisive battle where General Sam Houston led his Texian soldiers to victory over the Mexican Army eventually leading to almost one million square miles of Mexican territory becoming a part of the United States. 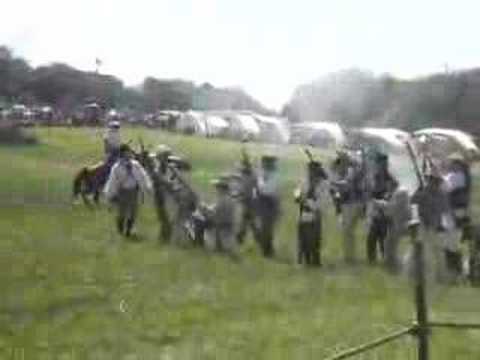 The reenactors dramatically interpret the Runaway Scrape, the cannon duel and the final battle between the two forces. Best of all, the reenactors are all very accessible and knowledgeable, happy to share their knowledge of the Texas War of Independence and frontier life. 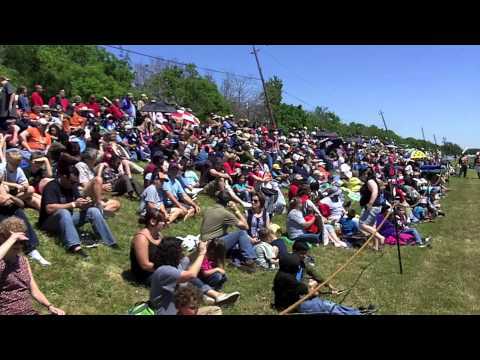 Find out more about the 2019 San Jacinto Day Festival and Battle Reenactment, or become a festival volunteer or vendor for 2019. Thanks to the volunteers who make the event a success!